2013 was a wonderful year: my kids are in a very fun age (when is not a fun age? 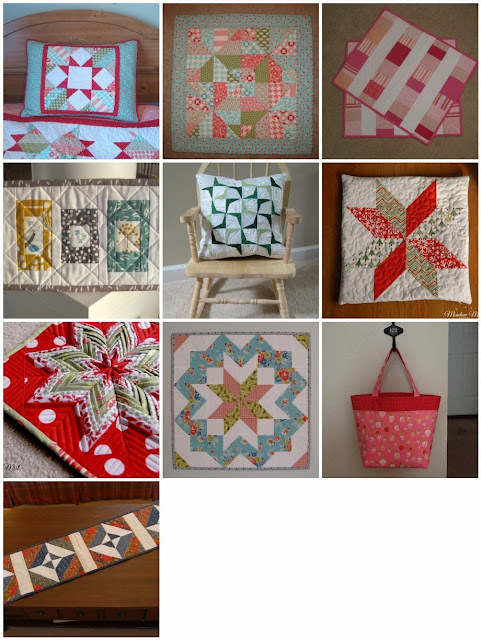 ), my work as a patent agent has been going well, and I have been on this amazing quilting and sewing journey, learning and sharing with all of you. 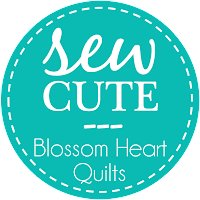 I started this blog in September 2013 and have been having a blast meeting all sorts of wonderful quilty friends! 2013 was the first full year of quilting for me, so I wanted to put together some mosaics to highlight some finishes (some of the finishes here are pre-blog so they have not been seen before but I will try to blog about some older 2013 finishes in the next few weeks). So what is up for 2014? As a newer quilter, I have allowed myself to buy tons a decent amount of fabric to build up a stash. I think that my stash is at the point where I have a nice selection of colors and prints. 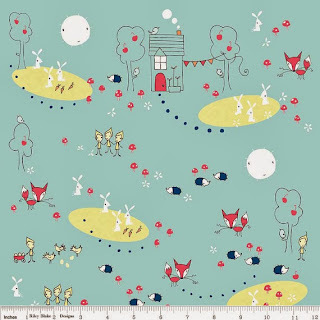 I am not going to go on a fabric diet next year, but I am going to be more selective in the fabric I purchase focusing on purchasing fabric for a specific quilt or other purpose rather than anything that catches my eye. 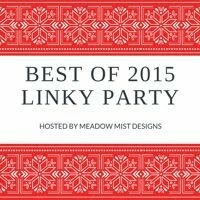 I hope to release a bunch of new patterns in 2014 (I already have three in various stages of construction - let me know if you would like to pattern test, I am always looking for great testers), submit some patterns to magazines, and join at least one swap, quilt-a-long, challenge, and/or quilting bee. I think that 2014 is going to be an amazing year, thank you all so much for joining in the journey with me! I hope everyone had a very Merry Christmas and is going to have a Happy New Year. I have a few last Christmas finishes to show you, finishes for people that read this blog so they had to be kept secret until they were given out. My sister also loves those ball ornaments that have all of the fabrics folded and pinned so that they look like stars so when I was looking through the Moda Bake Shop website and saw the Fancy Folded Star Pot Holder by Maria from Not Only Quilts, I knew my sister would love it. The tutorial was very well written and the star was not difficult but was time consuming (namely ironing down a quarter inch on 64 fabric rectangles). The actual sewing and folding was fun and I think that the result is very impressive (and my sister did love it). 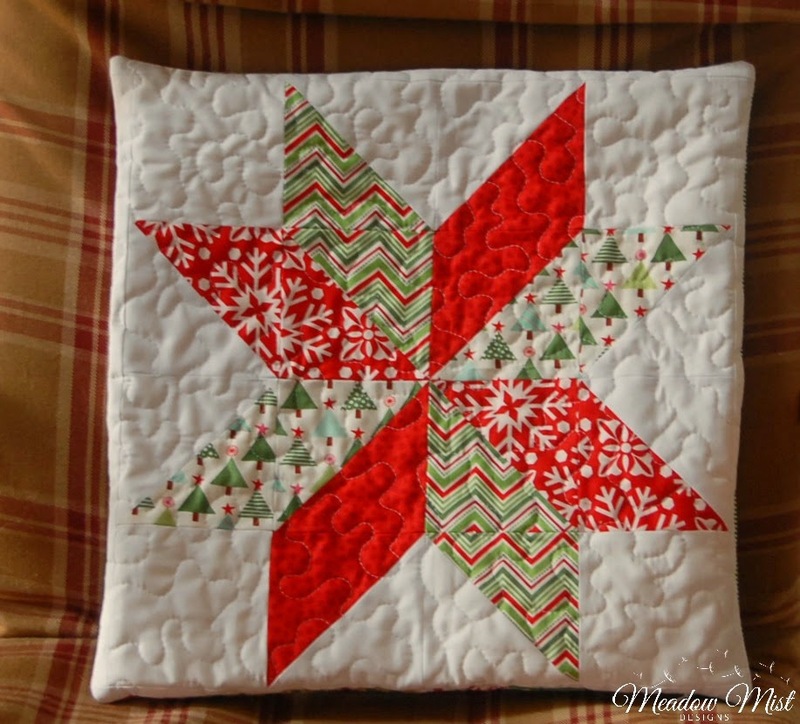 Last year when my sister was visiting for Christmas she saw a unfinished Christmas star block taped on my wall and mentioned that she really liked it. 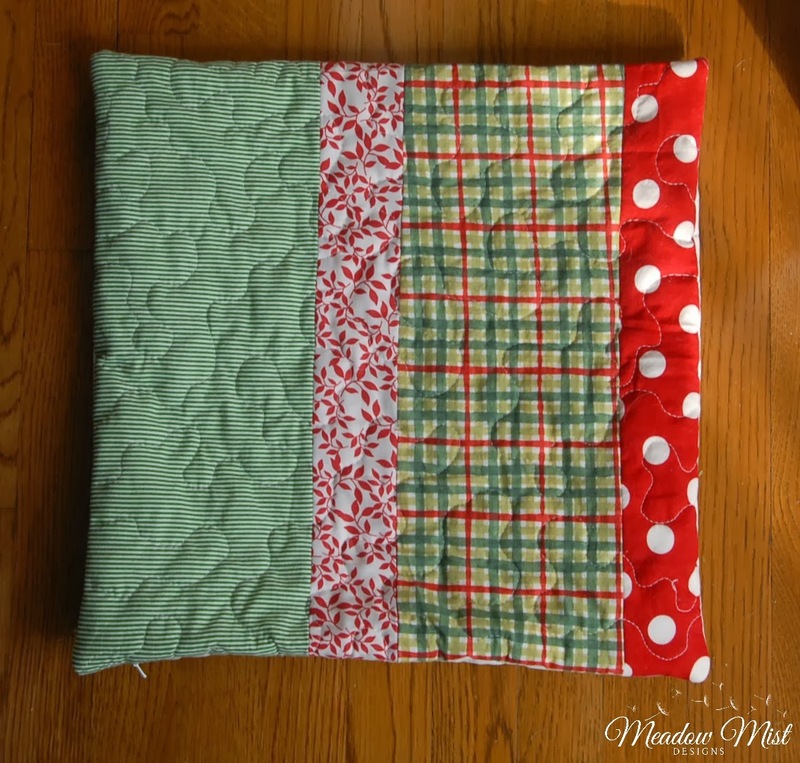 I quilted it, added a quilted back, and put in an invisible zipper to make it into a pillow. I had to make teacher gifts for four teachers this year and wanted to make them a little something instead of doing my typical Starbucks gift card or lotion gifts. 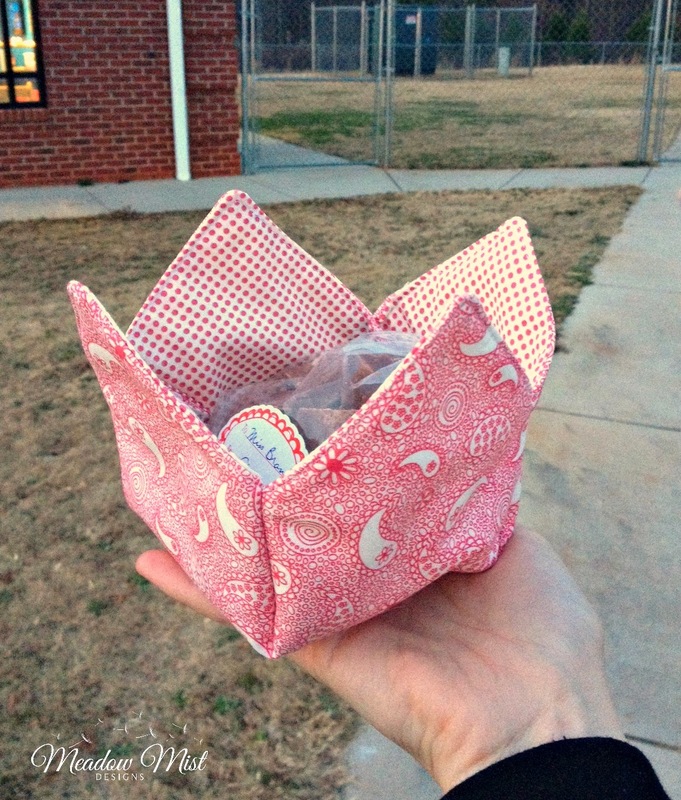 I made the fabric baskets using the Fabric Box Tutorial tutorial from Seaside Stitches leaving the corners up (instead of tacking them down with a button) giving the baskets a flower petal kind of look. Some simple fudge filled the baskets. I totally forgot to take pictures of 3 out of 4 of them, but here is a quick pick of one of the baskets. 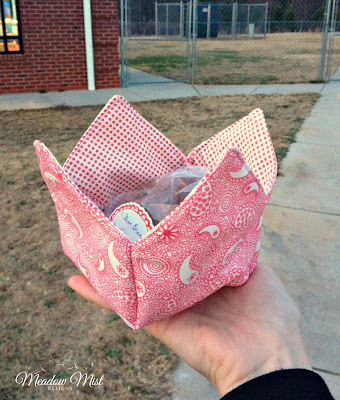 The baskets were fun and easy to make using some extra layer cake slices from my Noteworthy Double Slice quilt I made for my Dad (the magenta prints). I hope you have a wonderful holiday season and I will be seeing you in the new year, I have a lot of great things planned for 2014! 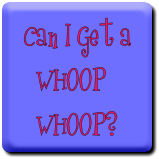 I am linking up to Link a Finish Friday, Whoop Whoop Friday, Thank Goodness Its Finished Friday, and Finish It Up Friday. For Christmas I decided to make a lap quilt for my Grandma-in-law, Grandma Peg. She is 98 years old and has been a blessing in my husband and my life. For the quilt, I used some fabrics here that I do not typically use, but I combined them in such a way to hopefully make them stand out and while still matching her decor of her apartment and giving me open space to quilt in. 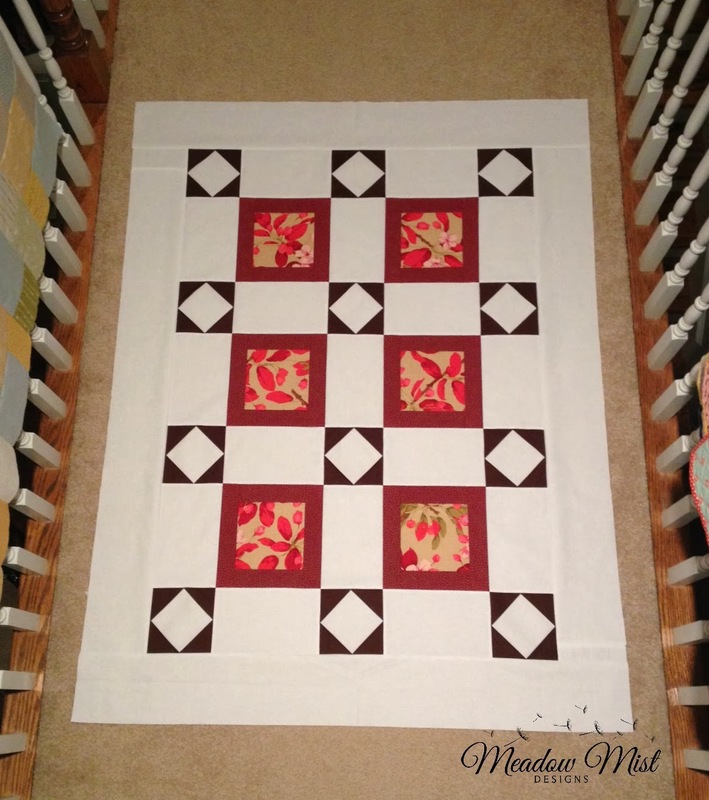 This is a small lap quilt (about 42.5 x 56) as she is less than 5 feet tall. 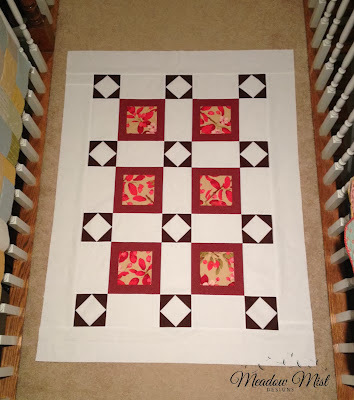 For the design of this quilt, I was limited by the amount of the floral print (for the inside of the squares) I had on hand. I decided to frame the focal print to make it stand out and added some square in a square blocks because I they would be a nice couterpoint to the floral blocks. 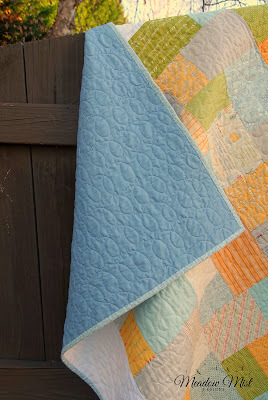 I also wanted include a lot of negative space to add some of free motion quilting. 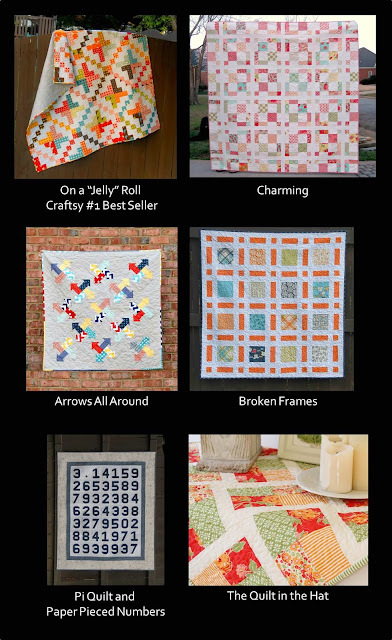 In case anyone would like to make this quilt, I have also written this quilt pattern up as a free quilt pattern posted on craftsy, available right here. 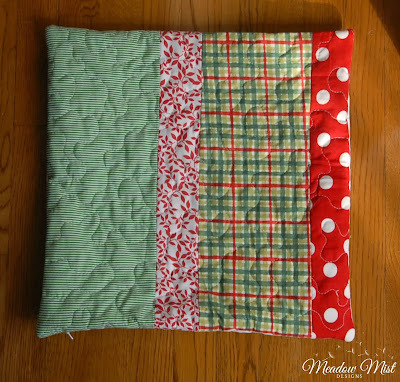 I think that the pattern is perfect for highlighting a few fabrics (that you may not have a lot of). Thank you so much to those who visited my blog and entered the giveaway. A special thank you for all of you who decided to follow my blog. On my blog I try to respond to each and every comment I get on my blog, but with 319 comments on the giveaway post, I just could not. I appreciated each and every one of the comments and am honored so many decided to follow my blog. 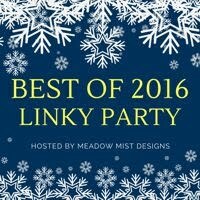 I hit 100 followers (on bloglovin, more decided to follow by e-mail and feedly) and am planning another giveaway (they are so much fun!) for next month to celebrate this milestone. For the giveaway, I asked that each person leave a comment and if they wanted answer the question of what size quilts do you make the most of. 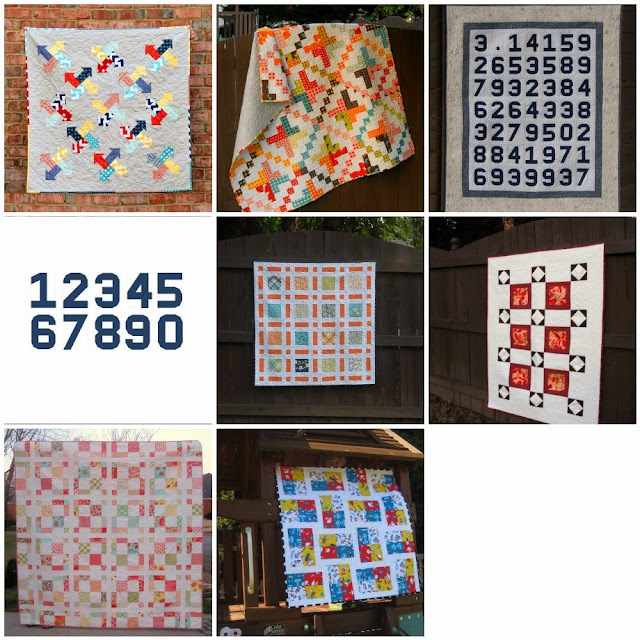 The responses were very evenly split between people making mostly smaller quilts (lap and baby sized) and larger bed sized quilts. There were a good number of quilters working on their first quilt and a bunch that told of the many years of quilts they had made. 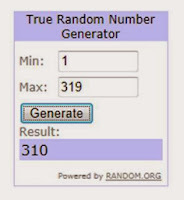 But enough rambling, without further ado, the random number generator has selected comment 310. Update: I had a major fail...I counted back from the back from the last comment (319) to 310 and could not figure out why one of the last comments was made on 12/11 when it should have been 12/13...that was when I noticed the "load more" button, whoops. So the real comment 319 was Michelle. 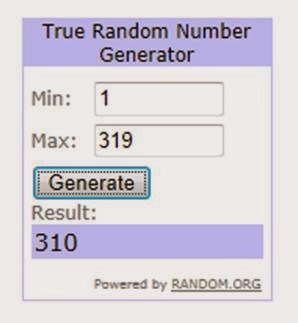 It was my mistake so we will have two winners! Congrats to Atabanana29 and Michelle, I have just sent you an e-mail and will send out your charm pack and 2 fat quarters of Enchant as soon as I have your addresses. Thank you again to all who entered, have a great night! 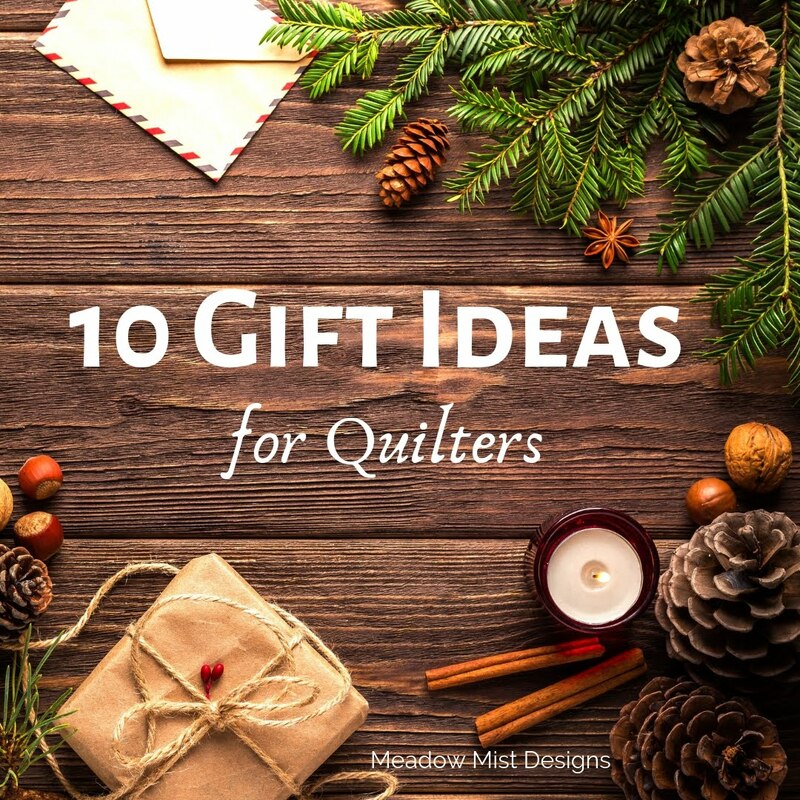 Well, I have made a little dent in my to-do list of handmade xmas presents and have two finishes to share with you today; my Noteworthy Double Slice quilt for my Dad and my Christmas quilted runner for my Mom. I won a layer cake of Hometown by Sweetwater by Moda earlier this year (or maybe even late last year) and it has been sitting on my shelves waiting for the right project. I decided that the fabrics would be great for my Dad (minus the magenta prints which I took out). I was originally going to pick a pattern with some background solid fabric but when I auditioned some background colors, there was not enough contrast with white or cream and the dark gray did not really go. 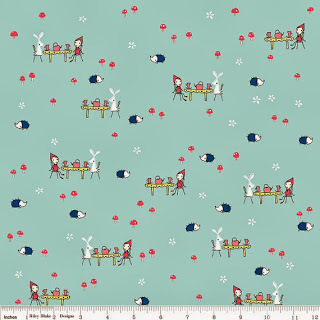 Therefore, I decided that the best pattern would be one that used all of the layer cake prints with no background fabrics with a bonus of being simple and quick. I used the YouTube video of the Double Slice Layer Cake pattern by the Missouri Star Quilt Company. I must say, if you want a quick and easy top that this is a great candidate. I had the 6x6 block configuration finished in no time and there were very few seams to match. 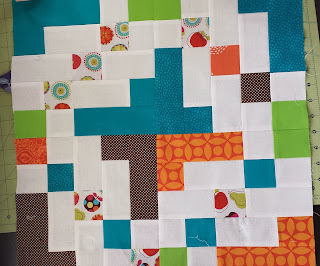 I added a 5.5" border around the blocks to make the quilt a little larger and backed it with a blue Target sheet (to save some $$). 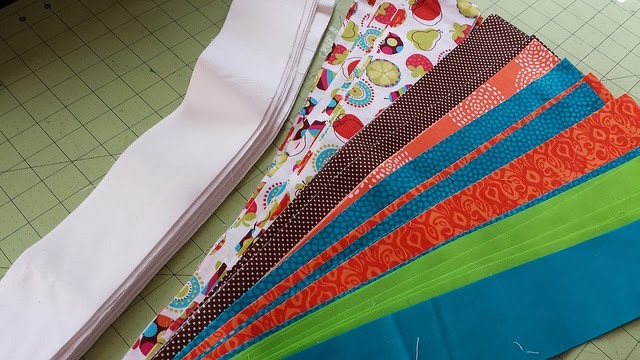 I have heard some horror stories about sewing with sheets as backings, but I have never had a problem. The quilt is about 67" x 67" so it is a very generous lap size. I decided to try out a new quilting pattern, making rows of loops. I first practiced some then marked lines 2.25" apart down the quilt to use as the top and bottom of my loop rows. I rolled the quilt up and stuck it in the throat space of the sewing machine and sewed from left to right. I have a Bernina with a larger size throat space so it was not too difficult to wrestle the quilt around, but my wrists were sore after I finished (I quilted 30 rows of loops and it took my between about 3 and 5 minutes a row). This was my December: A Lovely Year of Finishes Finish. Here is my post about my December goal. 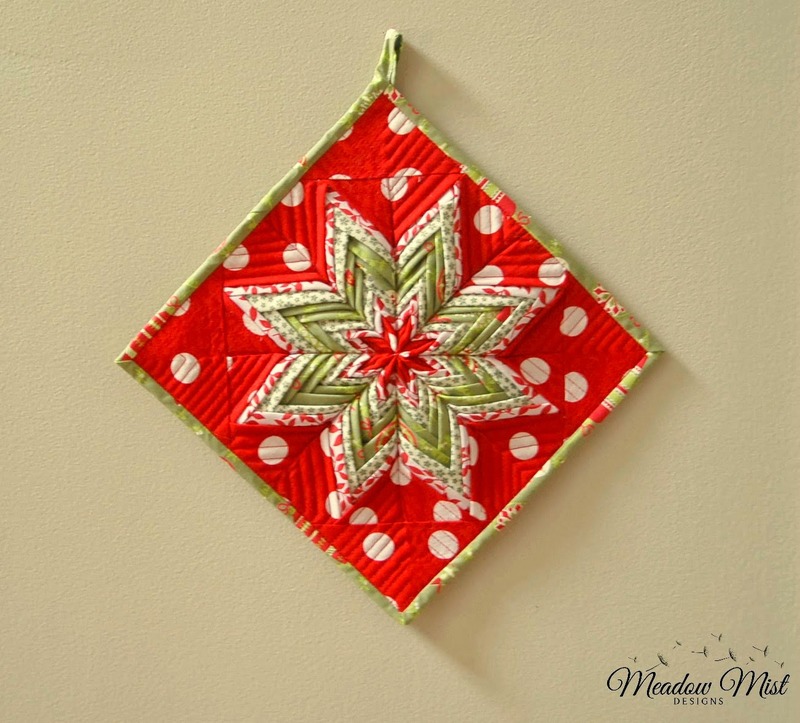 Using some left over jelly roll strips from the Nature's Christmas collection by Sandy Gervais for Moda (left over from my Xmas Granny Square Quilt), I made some Daniela Blocks (using the strip tube ruler) for a simple Christmas runner for my Mom. 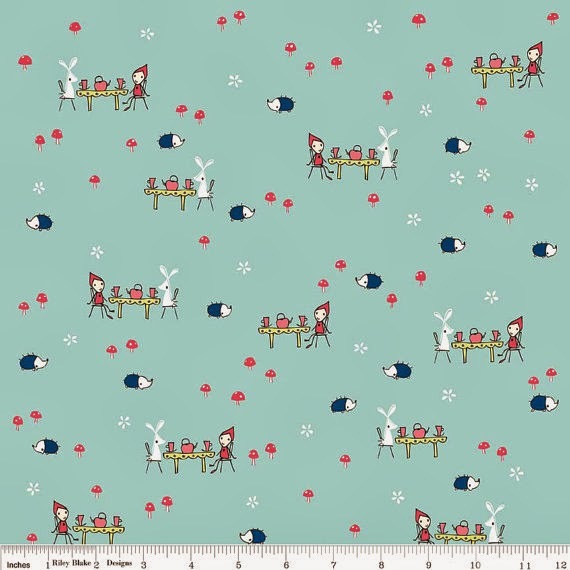 The dark blues in this line match her couches perfectly and I like how this collection of prints reads Christmas without being overly red/green typical Christmas. I pieced the backing using some extra strips so the runner is actually two sized (then had a total fail and forgot to take pictures of the second side). My parents have a small kitchen table so this runner will go across the whole table and hang about 4" on each side. 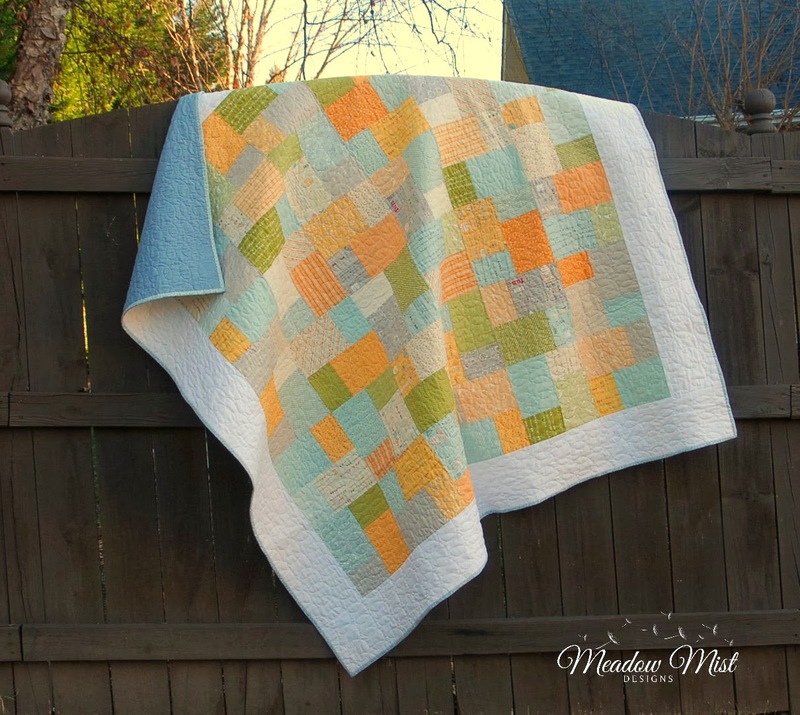 I debated and debated on how to quilt the runner. 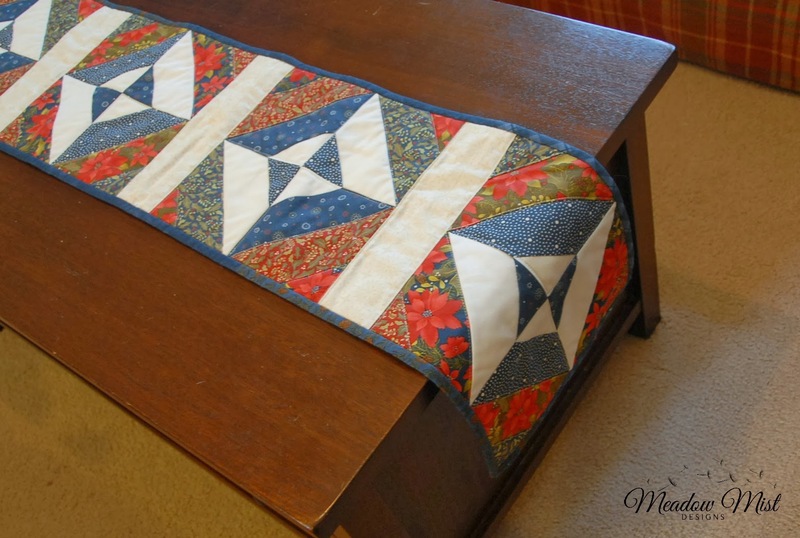 I wanted quilting to highlight the piecing so I decided to simply echo some of the piecing seams which gave the runner a nice look and was also pretty quick. 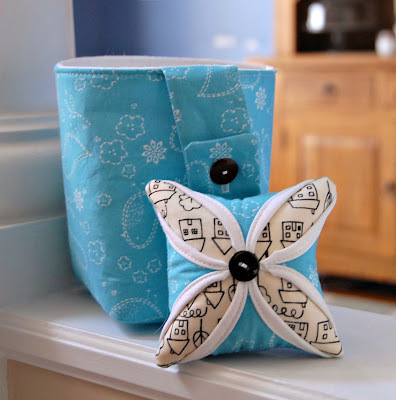 I am linking up to Link a Finish Friday, Whoop Whoop Friday, Thank Goodness Its Finished Friday, Finish It Up Friday, Take a look Tuesday, and Sew Cute Tuesday. "Thank you for the opportunity to test your pattern; I have only done it for one another pattern and I really enjoyed it. It’s a thrill to be involved in the creative thought process of someone else's vision. A little about me, I'm an air traffic controller a career that is rewarding and turns your brain to mush. I communicate with the airplanes in the air and on the ground while taxiing to the runway. We as controllers also talk to airport vehicles and equipment. I am 35 with 2 kids 3 dogs, I work shift work, attend to children and husband (married 12 yrs) after I get home, I enjoy a glass of wine (or 2) in the evening, I love to fit in my quilting because it is relaxing and I hope to attend a quilt/sew retreat in the near future. I am becoming addicted to FLICKR, anyone else? 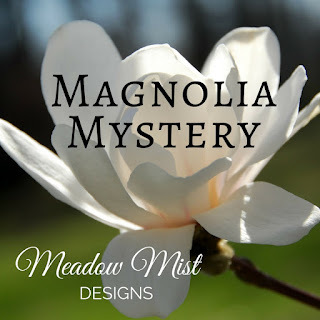 That is how I found Cheryl and Meadow Mist Designs. We made contact and I was off to the races. When I was in the color selection process I chose to cut my own jelly roll because I did not like the 2 that I had on hand. The pattern read well, I did not find myself thinking, “how can I make this easier?" All I had to do was follow directions. She did a very good job writing her pattern. I did do a few other things like for the first time use a ton of starch, I also knew it would be easier and important to have square blocks so I measured and remeasured then in the end I squared everything up one last time. I think this May be why it took me so long to get the piecing done. Sometimes perfection takes longer. 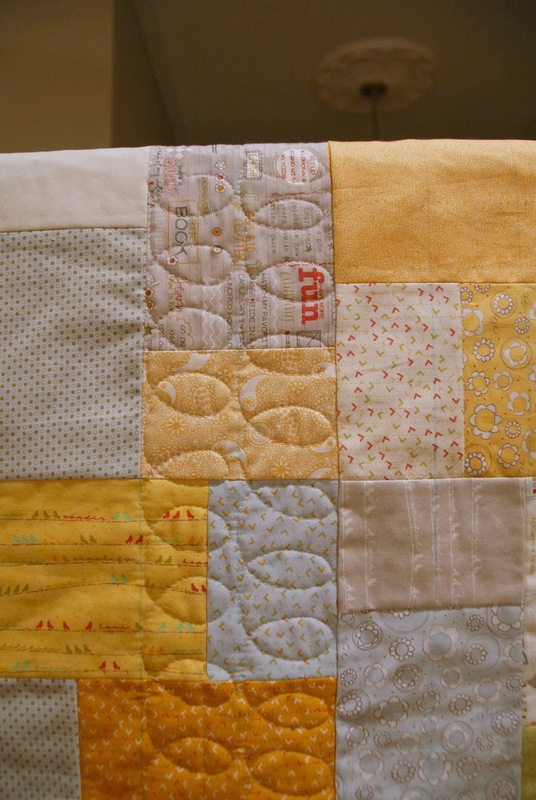 I did free motion quilting for the first time!!!!!! Yeah me.! I did a little set of initials in the quilting since it will go to first time parents that just got married. I only broke thread 2 times HA! - what a headache. 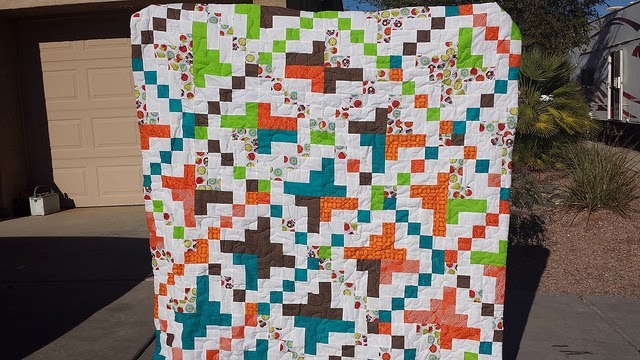 I turned the quilt in-side-out so that there are no borders, first time for that technique also. I really like the look that gave the quilt because there is no "break" in the design it just goes right off the edge. 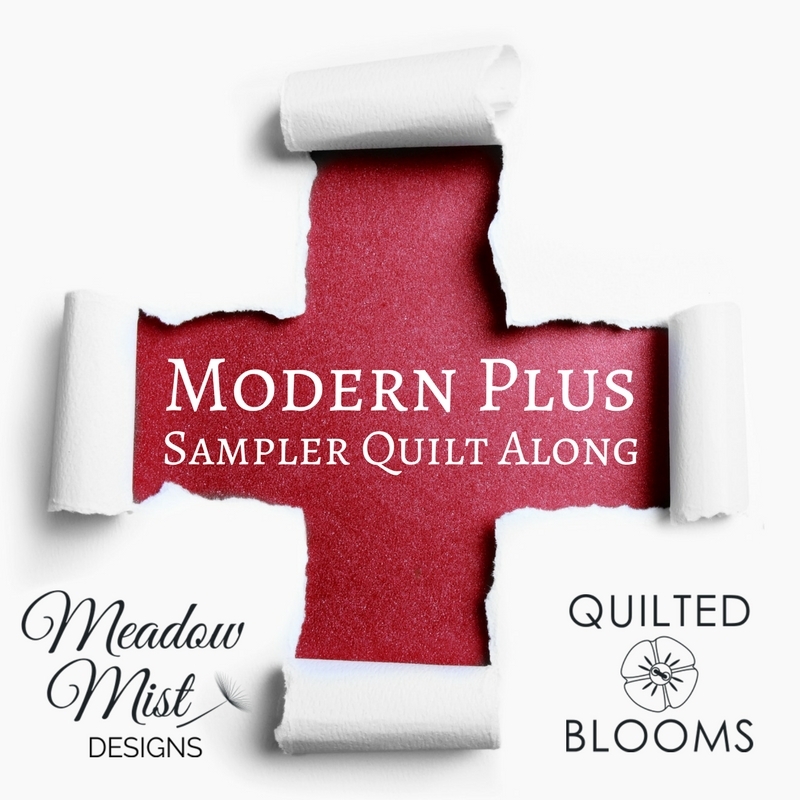 I mentioned the free motion quilting for the first time, yes all I can say is thank goodness for the quilting gloves that came just I time. I can't imagine doing it without those. My reasoning for the pillow case method was that since this whole quilt is a first why not just continue with the something new approach! And it seems to have worked out." 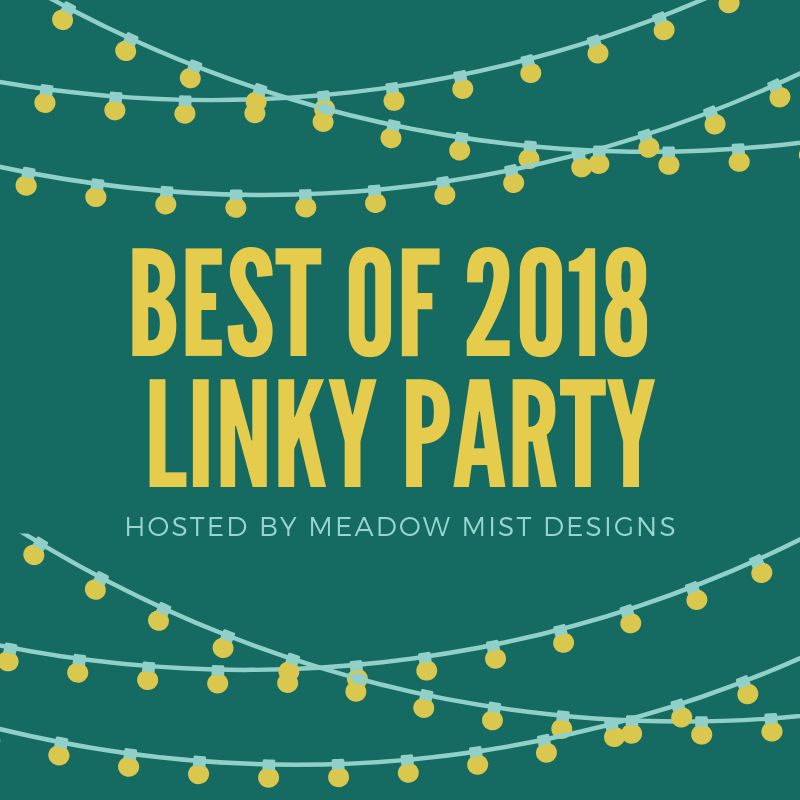 If you have made something from a Meadow Mist Designs pattern, please consider adding it to the Meadow Mist Designs flickr group and/or sending it to me. I love to see different people's interpretations of my patterns. 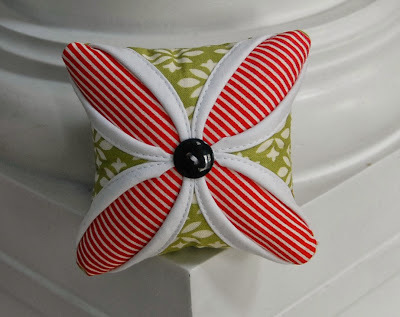 Also, if you are looking for the Sew Mama Sew Giveaway, you can find it here. 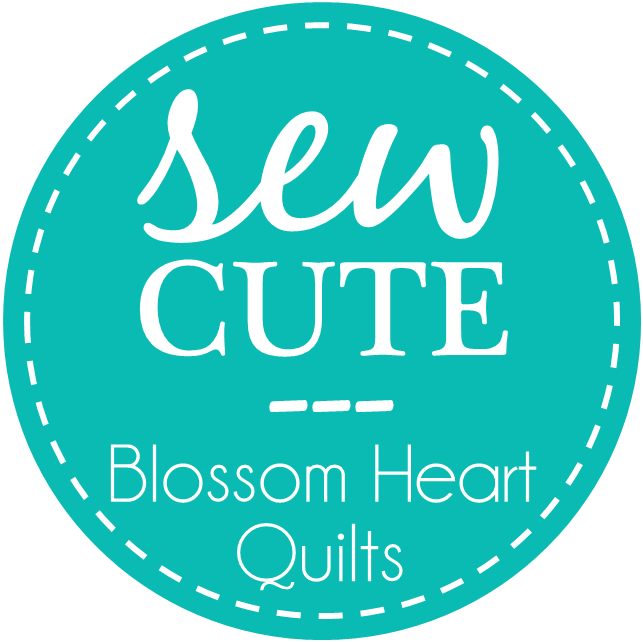 This is my first time joining the Sew Mama Sew Giveaway Day and I am so excited to be participating in the Sewing + Craft Supplies section. 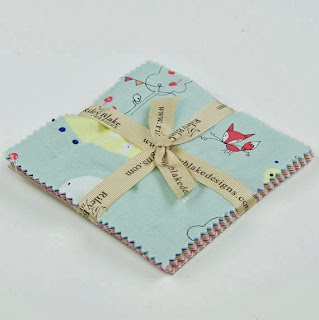 What I am giving away today is a charm pack and two fat quarters of Enchant by Riley Blake. The fabrics are just adorable and perfect for fussy cutting. This giveaway is limited to the US due to shipping costs. 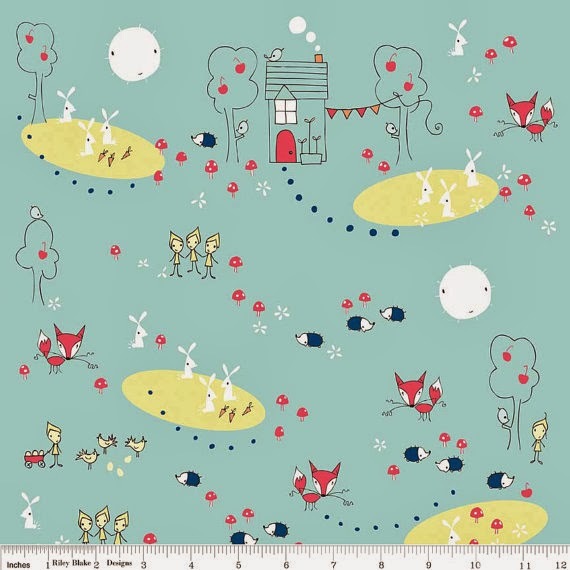 I purchased these adorable fabrics from Fabric Fly who I highly recommend. All fabric images from www.fabricflyshop.etsy.com. Used with permission. My name is Cheryl and I am a chemical engineer/patent agent by day, a quilter at night, a mom to a 6 year old son and 3 year old daughter, and wife. 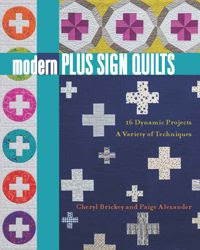 I love designing quilt patterns, writing quilt instructions, and doing quilty math combining my quilting skills with my engineering and technical writing backgrounds. Once again, this giveaway is open to only US and is for a charm pack of Enchant and two Enchant fat quarters. This giveaway starts today (Monday Decmember 9th) and will run until Friday December 13th at 8 p.m. EST. 1. Leave a comment, any comment. 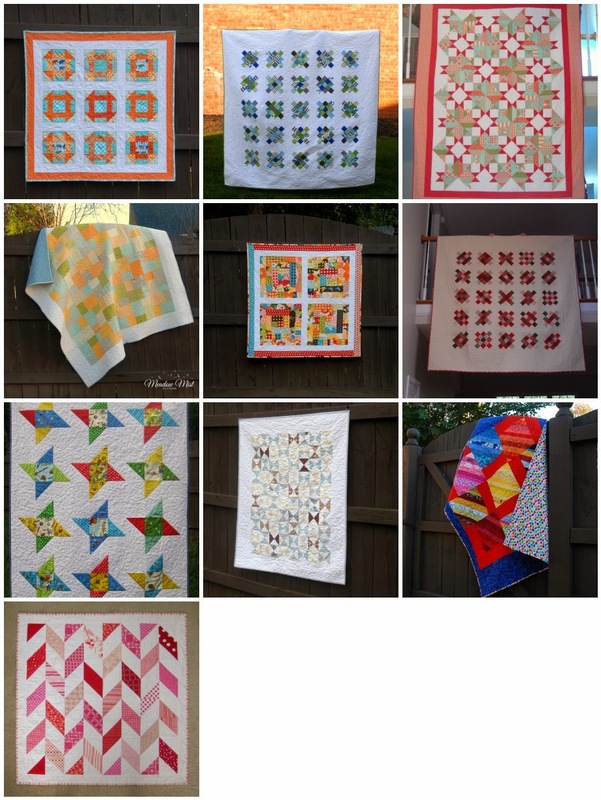 If you need a suggestion on what to write you can tell me which size quilt you make the most of. 2. My followers, old and new, get an additional entry. Please leave a second comment letting me know how you subscribe. 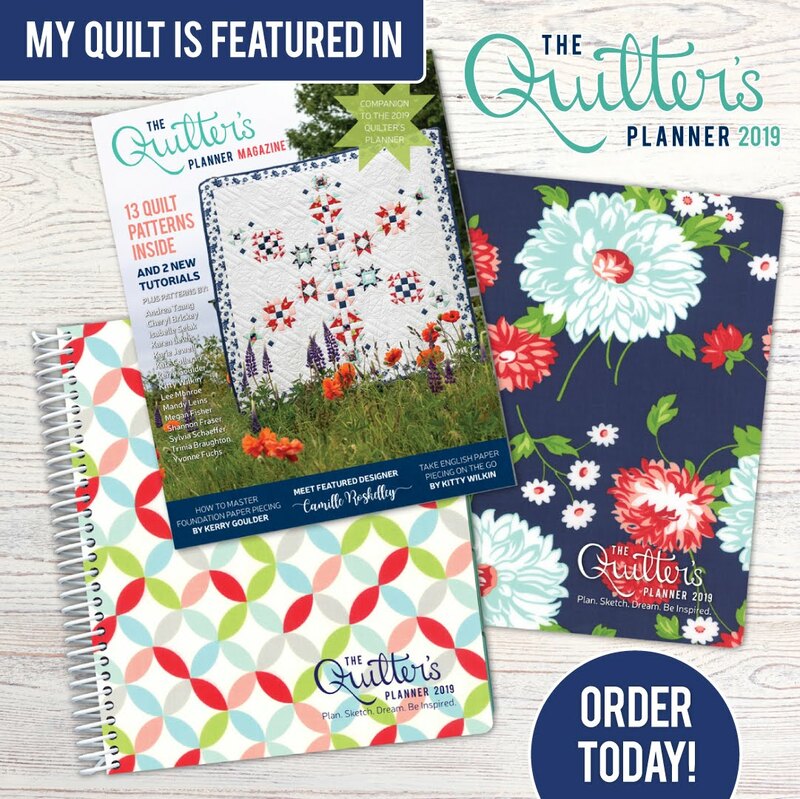 Thank you so much and I hope that you will decide to follow my blog and join me on my quilting, sewing, and pattern writing adventures. Giveaway now closed, thank you all so much for entering!! I have been making some progress, but not as much as I would like, on my handmade xmas presents. On the bright side, I am basically done with all of my xmas shopping. All the presents for my neices and nephews have been purchased and are already on their way across the country. 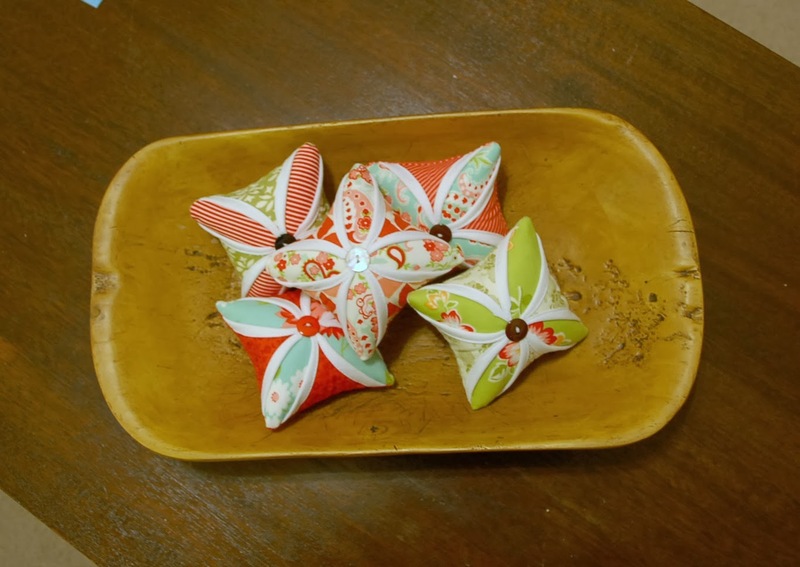 Here is a group of cathedral window pincushions made using some fabrics from Scrumptious with some Ruby and Marmalade (all from Bonnie and Camille for Moda) thrown in. I love the Scrumptious line and how well it looks with the other lines. I even made a Christmas Bonnie and Camille pincushion. Next are a set of stockings for some cute kitties. 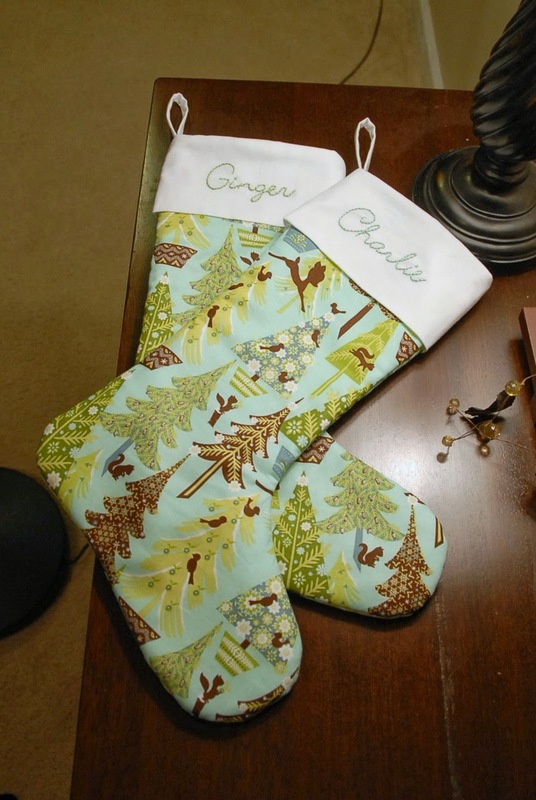 I love the fabric and how the hand embroidery adds a little special touch. Sweetwater Quilt for my Dad - Using Noteworthy, the top finished with borders, the quilt is basted and I have begun quilting it using rows of loops. 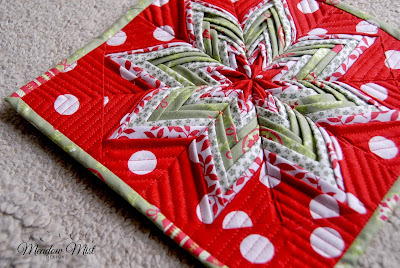 This is my December Goal for a Lovely Year of Finishes. (I had a total fail last month where I actually finished my goal early but with the holiday weekend I totally forgot to link it up). Grandma Peg's Quilt - Top finished and ready for quilting. 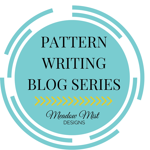 Pattern (will be offered for free on craftsy) is almost written. 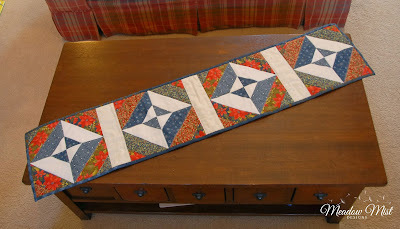 Christmas Runner for my Mom - Top finished, working on piecing the back to make a dual sided runner. 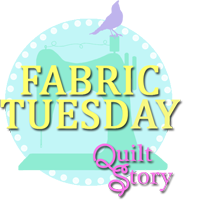 Linking up to WIP at Freshly Pieced, Quilt Art Designs, I Have To Say, Blossom Heart Quilts, Quilt Story Fabric Tuesday, and A Lovely Year of Finishes.